I couldn't find a sharp image of my edition of Rumer Godden's 1991 novel, but perhaps that's appropriate because Coromandel Sea Change is quite soft-focus in itself. This is an old-fashioned novel. 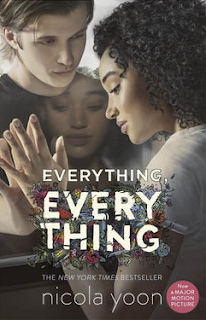 Once again we are introduced to a young, naive but headstrong woman who is encountering India for the first time and finds her world expanding in unexpected ways. It took me a little while to realise that I have visited the beautiful seaside hotel, Patna Hall, before, in the clumsily-titled novella Cromartie v The God Shiva Acting Through the Government of India, published in 1997 and also featuring wise Auntie Sannie and her loyal lieutenants, Hannah and Samuel. Coromandel Sea Change is more dramatic, featuring a mismatched honeymoon couple, a charismatic young aspiring politician, a slimy journalist and a benevolent diplomatic couple. But it's the tranquil hotel on the beach, surrounded by flowers, that is the real star of this novel. 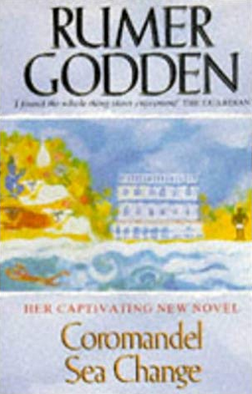 I don't believe that there is any such thing as a bad Rumer Godden novel, but this is a lesser offering. Still worth a weekend away, but maybe not a lingering stay. Have I mentioned that I love Bob Murphy? 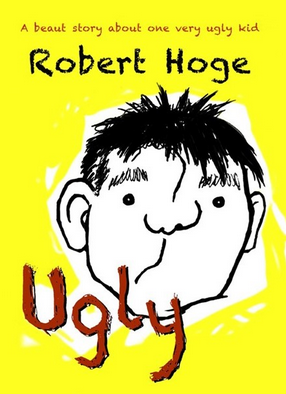 A writer's footballer, he earned his stripes as a quirky commentator for The Age newspaper in a series of delightful, left-of-centre columns that sometimes concerned his sausage dog Arthur or buying coffee rather than the usual earnest ruminations or boasting of some player/analysts. Those columns were collected in Murphy's Lore. 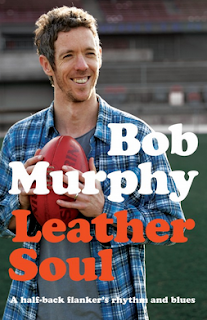 Leather Soul: A half-back flanker's rhythm and blues is a meandering memoir, with memories of a carefree childhood interleaved with a diary of the Western Bulldogs annus mirabilis, 2016, when they joyously, unexpectedly, snatched the premiership with a month of magnificent football. But poignantly, Bob himself, captain of the team and its heart and soul, wasn't able to play in that premiership team because of injury. On Grand Final Day, when the coach called Murphy up onto the dais and put his own premiership medal around the injured captain's neck, it was a moment of the most perfect love and sportsmanship, a bittersweet and precious gesture. Bob is honest about how much missing out on that year hurt him; he put on a brave face all year, swallowed his pain and gave whatever support he could to 'his boys.' But the pain didn't go away. He is honest about his own failings (even though the conventional wisdom in our house is that he is a perfect human being!) when it would have been easy to leave out those incidents from his story. Maybe that makes him even more perfect, who knows! If you're not a Western Bulldogs supporter, or at least an AFL football fan, you probably won't pick up this book. That would be your loss. Get to know this lovely, wise, funny man, who happens to have played wonderful football for half his life, a little better. You won't regret making his acquaintance. Not going to lie -- when I retrieved this from the library for the Convent Book Group, my heart sank. Six of Crows is a brick of a book, and I only had three days to read it... But wow, Leigh Bardugo has produced a terrific fantasy page-turner, and the chapters flew by. 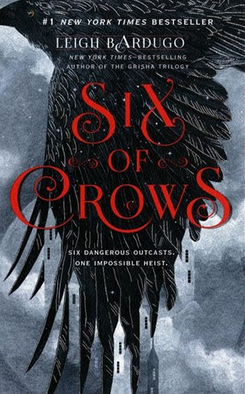 Dense, dark, satisfying, with interestingly flawed characters (literally, the Dregs of their mercantile society) and a plot that keeps twisting and ambushing the reader till almost the very last page, Six of Crows divided our group. Those who loved it, LOVED it (I was in that camp). There were some who didn't get on with it -- put off by its length, or the initial profusion of characters, or who just don't like fantasy that much. And that's fine. Big meaty fantasy stories aren't for everyone. But Bardugo hits a YA sweet spot that doesn't mollycoddle its readers. My 14 year old tells me that the series set in the Grishaverse (there are at least five more books, and a movie on the way) is huge in her demographic, and I can see why. Six of Crows reminded me very slightly of the Chanters of Tremaris books: the types of magic are similar, though there's no singing involved, and the world also has echoes of Tremaris, insofar as both universes have echoes of our own planet. Ketterdam is a cousin of Gellan; icy Fjerdan is a little like Antaris. But where Tremaris is a fairly gentle world, comfortable for upper primary/lower secondary readers, the Grishaverse is squarely YA, with a hefty body count and some pretty adult darkness. It's Tremaris on steroids and sleeping rough. A book, and a world, to sink your teeth into. Look at this gorgeous cover -- it reminds me of the Leonard French stained glass ceiling in the National Gallery of Victoria, which as children we used to lie on our back and gaze dreamily up at. 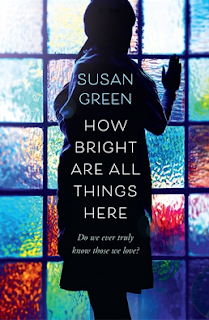 I've been looking forward to reading this adult novel by Susan "Verity Sparks" Green for a long time, and when I started it, I delighted in the lovely prose, the compassion for the characters, and the familiar Melbourne setting. But... it's about a family, a family with troubles. There's the stepmother, dying in a nursing home. There's the daughter who has just lost her job, and her husband with depression. 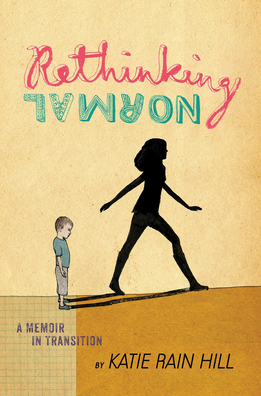 And while something tells me that everything is going to work out okay in the end, this is not the book for me right now. So reluctantly I have set it aside -- not forever, just for now. I'm looking forward to getting back to it, when things in my own life are slightly brighter. Found in Greensborough Savers, I have been rationing out the beautiful, thoughtful Wildwood at the rate of a chapter a day -- it has been serving me as a meditation and solace. About a quarter of the way through, I realised that I'd read about Roger Deakin before, in Robert Macfarlane's Landmarks -- Macfarlane was Deakin's friend and acted as his literary executor. Reading this book was tinged with sadness, for Deakin died not long after the manuscript was complete. I came to Macfarlane first, but I can definitely see Deakin's influence on the younger writer. 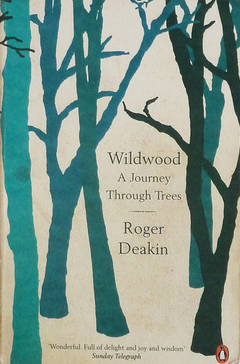 Wildwood: A Journey Through Trees is an extended meditation on all forms of interaction with trees and wood. Deakin visits sculptors and woodworkers, naturalists and farmers, thatchers and forest rangers. His travels take him to Kyrgzstan and Australia (where he goes camping with our very own Romana Koval! ), deep into the English countryside and back to his own boyhood. He discusses oak and ash, sycamore and walnut, and though they are not all familiar to me, I feel I know them better after this splendid introduction. 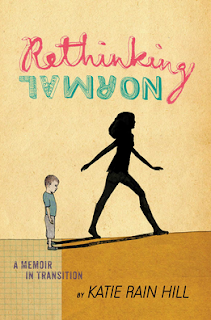 I absolutely love books like this -- slow and reflective, lovingly precise, filled with a lifetime's experience and an eagerness to learn from others. It's almost like a prayer -- to the wild, tangled forests and the ancient hedgerows alike. A slow walk through the woods -- just what I needed. It's bittersweet to discover an author whose company you enjoy so much, and to know that there will be no more work from them. One day I would like to read the companion volume to this, Waterlog, which describes Deakin's attempt to swim across Britain in bodies of wild water! And also Notes From Walnut Tree Farm.